Tip: Keep options for ‘lead source’ simple/generic. Utilize campaigns to get more specific. For instance, ‘lead source’ is ‘webinar’ and the lead is linked to the ‘Webinar – Campaigns – 100814’. Tip: When using Web-To-Lead, ensure that campaign ID is being passed with form submission. So that records become a campaign member AND a lead. Tip: Utilize leads to clean data before it enters your database. It’s the only record type that has a native ‘find duplicates’ button. Tip: Enforce end users to find duplicates by removing the convert button from the lead page layout. Tip: Well defined member status values can make reporting easier, help sales understand exactly what their prospect/customer did and MOST IMPORTANTLY helps measure the success of the campaign. Tip: Keep ‘Campaign Type’ general and use Campaign Name to get specific. 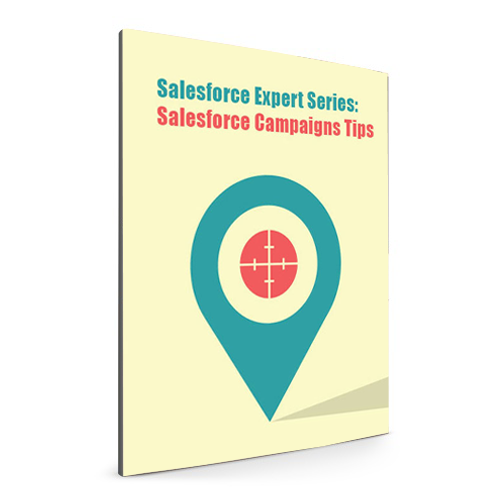 Tip: Tie campaigns together with “Parent Campaign” field. Tip: Require Start and End Dates on Campaigns – This helps you keep track of multiple efforts happening at same time. Tip: Create a workflow to automate the check, and uncheck, of the active box based on status selection. Tip: Ensure the level of granularity on your hierarchy is something you are committed to maintaining LONG TERM. Tip: Wherever possible, require Opportunity creation on lead conversion OR require “Primary Campaign Source” field. Tip: Utilize two record types for campaigns – one for parent and one for child. Keep your layouts clean and only place applicable fields on the applicable record type.